Why do students avail of essay writing services? Now that the stage has been set, now that the surrounding circumstances have been sufficiently discussed, we can begin to understand why students avail of essay writing services. As previously mentioned, universities are accepting more applicants than ever. A vast majority of these applicants are from overseas, and, more often than not, English is but a second language for them. In turn, this renders them wholly unprepared for the complex nature of academic work in English. The academic field, by rule, is governed by cultural and disciplinary nuances, which, to the unstudied eye, would probably seem incomprehensible. It may require hours and hours of intense reading and studying to understand it all. Moreover, the academic field is dynamic, never at rest—so the material that you would need to cover is ever expanding. Many struggle to keep up. Thus, in the face of such challenging conditions and mounting pressure to succeed, it may come as no surprise that many international students turn to essay writing services, whether out of practicality, desperation, or resignation. Other students are simply too lazy to do their homework. In other words, they could care less about learning—all they want to do is submit their essay on time, even if it was not written by them. To them, such an endeavour may not be worth the effort. This lackadaisical attitude could stem from a failure to see the value of essay writing and research skills. It is possible that these students do not think that they will need to know how to write an argumentative essay or a synthesis essay once they graduate and go out into the real world. Hence, they may feel perfectly comfortable outsourcing their course assignments, and could even justify their actions to themselves and others. However, in reality, the opposite is true—writing and research skills are highly necessary, regardless of what position you will take or industry you will enter. It is crucial that students know how to express their ideas, and express them well. By relying on essay writing services to complete their requirements for them, these students are depriving themselves of the opportunity to gain these essential skills. Still other students are wealthy and privileged, and see no harm in doling out some cash to procure the goods that they are after. Again, this could be both an aftereffect and unintended consequence of today’s profit-oriented educational systems. Because the monetary costs of schooling are at an all-time high, failure is not an option. Some pupils would therefore resort to all a manner of methods to ensure that they get the best grades possible, while expending the minimum amount of effort. 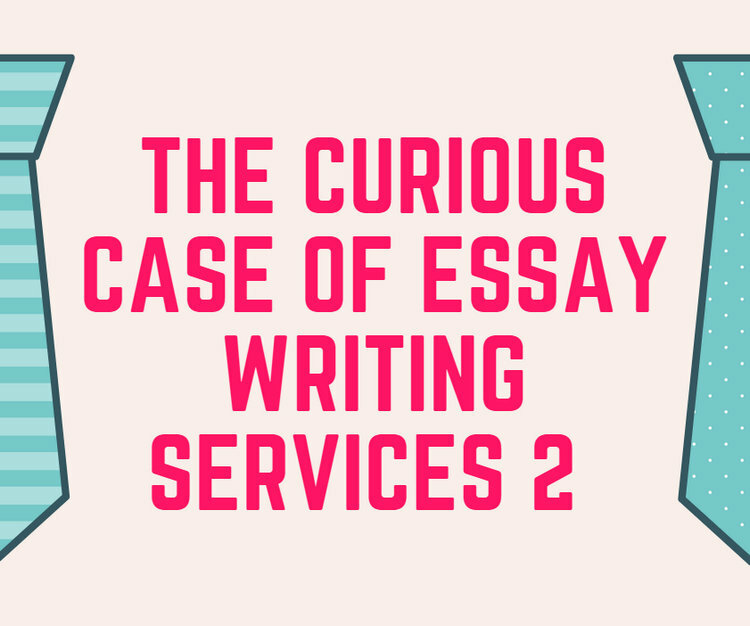 In this sense, availing of an essay writing service is the perfect escape route for many. There are also numerous students who are struggling to manage their time as well as their multiple responsibilities on top of their academic requirements. As previously mentioned, scores of students have to work part-time or full-time jobs just to support themselves and pay their school-related expenses. Some of the older students may even have children of their own, or a spouse that they need to feed and provide for. When short on time, some may see no other way out than to outsource the writing of their assignments. In light of the above, it becomes painfully apparent that the essay writing service industry has arisen out of a complex turn of events. Moreover, it becomes glaringly obvious that the blame cannot be pinned on one party or entity—rather, each player is a co-conspirator, and each factor has an important contribution. It would therefore be wrong to hold one group to fully accountable, or to force one faction to find a remedy. Plainly speaking, these kinds of businesses currently exist—and will continue to do so—as long as the demand for the service they supply remains strong and aggressive. If the aim of the academic community is to minimise their students’ dependence on such companies, then it may be wise to strengthen and improve upon the support system for students in need. Additional academic writing workshops can be offered on campus, and study groups can be organised to provide assistance outside of class hours. Hopefully, this blog post has enlightened you about the subject at hand. Most people can be too quick to judge this industry and the people that work in it, primarily because they are not aware of the underlying circumstances. At the very least, you are now more aware and more knowledgeable about the topic, and can make more informed, autonomous judgments.